I’m a firm believer that a veteran has both the ability and the responsibility to make a difference in the world after their military service ends, just as they did during their military service. 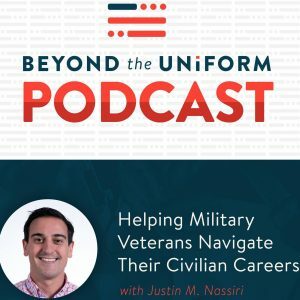 There are a lot of great opportunities to do so, and Justin Nassiri’s podcast, Beyond The Uniform, interviews veterans who are doing just that. 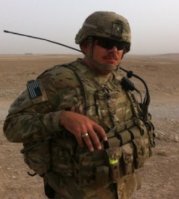 Not only is Justin providing a space for veteran voices to be heard, he is a great example of how veterans can support other veterans. I had the honor to be able to have a discussion with Justin about the unique challenges that veterans face in their post-military lives, especially regarding mental health. We also talk about my personal transition from an Army NCO to a Clinical Mental Health Counselor…as I’ve said before and will continue to say, a mentor once told me: “There are not enough combat veterans in the clinical mental health counseling field.” She was right then, and she’s right now. Enjoy the episode, and stick around and listen to some of Justin’s other interviews. It’s a great addition to your podcast lineup, and I’ve walked away from episode I’ve listened to inspired by some way. You can follow Justin and his podcast on many platforms, including Twitter, Facebook, LinkedIn, and find the podcast on iTunes, Stitcher, and other platforms. One of the Most Important Questions about Veteran Mental Health is Who’s Paying the Bill?